PRIVATE healthcare clients are up in arms after their insurance provider suddenly cut back on its service without warning. 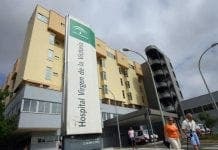 The members of Sanitas are furious that the company pulled out of one of Andalucia’s top hospitals Hospiten, in Estepona, allegedly for financial reasons. One client Peter Buxton slammed the company after discovering that his policy no longer covered him for treatment there. 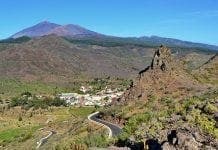 Buxton, 62, who runs a marketing company, was outraged that he only found out about the change to his 1500 euros a month policy when his daughter visited the hospital with her baby. He said: “I wish Sanitas had informed me themselves. But the company’s attitude towards its customers with its lack of communication must now be brought into question. Eventually he received an email response from Sanitas (seen by the Olive Press) which confirmed that the company was pulling out of Hospiten from November 9. The firm suggested that his family should use alternatives such as USP Marbella. Another Sanitas client Brian Green, 68, however, was far from happy with being palmed off with treatment at USP. He told the Olive Press he had also only became a member of Sanitas because he could receive treatment at Hospiten. But, ironically, according to an independent insurance broker, even USP might now be considering cancelling its contract with Sanitas. The leadiing broker said: “Xanit in Benalmadena does not deal with Sanitas and I understand that now USP is starting to do the same. Other sources told the Olive Press that Sanitas is not the only healthcare insurance provider having difficulties. It is rumoured that other international companies have stopped offering any new policies outside of the UK. One insurance broker, Sue Wilson from A La Carte Healthcare explained: “Insurance providers need to ensure that they are collecting sufficient premiums to provide adequate cover. Last night, a spokesman from Hospiten confirmed that the hospital was no longer dealing with Sanitas. Despite constant calls and emails Sanitas did not officially respond. However, one employee Jose Maria Cano finally confirmed that Sanitas was no longer working with Hospiten. “But it is very complicated. It is not only a matter of euros,” he said. With medical inflation running at up to 20 per cent, despite the credit crunch, and premiums increasing by up to 30 per cent customers like Mr Buxton are unsure of their next move.